The Astrup Mueseum by Nic Lehoux. 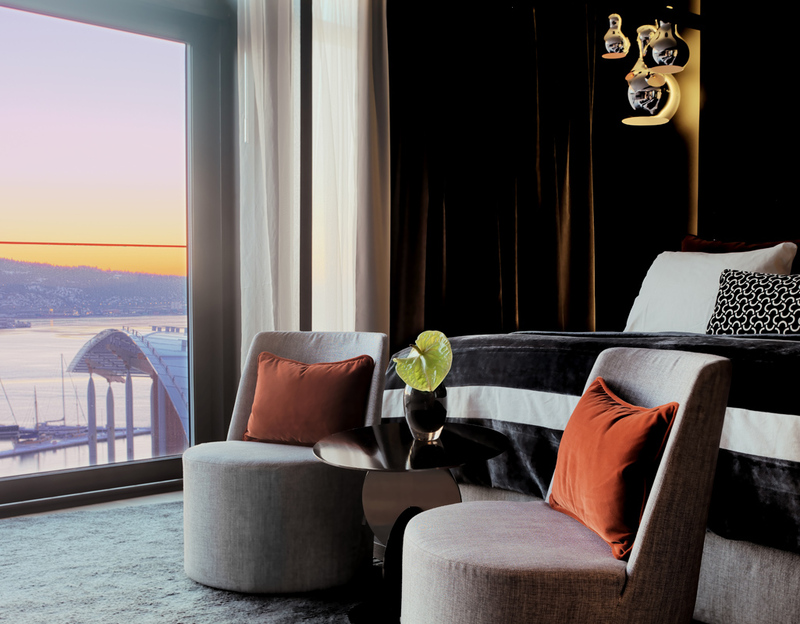 119 designer-furnished guest rooms make up The Thief hotel. The Thief hotel located next to the Astrup Fearnley Museum. Tjuvholmen's year-old Astrup Fearnley Museum of Modern Art. Well underway, Oslo’s forward-thinking Fjord City project is transforming the Norwegian capital’s once-grimy waterfront into a showpiece of urban renewal. From art and architec-ture to food and lodgings, the former docksides now bristle with new energy, and nowhere more so than in the reborn neighborhoods of Bjøvika, Aker Brygge, and Tjuvholmen. Some of the most eye-catching waterfront developments are happening in Bjøvika, the site of Oslo’s founding a millennium ago. The biggest is the Oslo Opera House (1 Kirsten Flagstads Plass; 47-2/142-2121), whose slanting roof of white Carrara marble stands in stark contrast to the old port. Home to the Norwegian National Opera & Ballet, the building’s main auditorium seats more than 1,300, while its expansive waterside terraces host outdoor events in the summer. And this is only the first of several cultural complexes planned for Bjøvika: new homes for the Munch Museum, the Museum of Cultural History, and the Deichmanske Public Library are all slated to open here in the next few years. Nearby, galleries are making use of the area’s ample warehouse space, with places like 0047 (34D Schweigaardsgate; 47-2/420-1147) and Galleri MAP (32 Toyengata; 47/98-892-672) hosting revolving design and architecture exhibitions. But you can’t contemplate the arts on an empty stomach. For lunch in the sun, get the best views in town at Sanguine Brasserie (47-2/142-2142) at the Opera House, where light and summery Mediterranean dishes are served alfresco. Come evening, head to Maaemo (15 Schweigaardsgate; 47/9-199-4805), which has earned two Michelin stars for chef Esben Holmboe Bang’s modern Norwegian cooking. His 10-course set menu includes dishes such as frozen cow’s milk, porridge with reindeer heart, and an emulsion of oysters served in their own shells. Another former industrial precinct, Aker Brygge is now best known for its twin-towered Oslo City Hall. With ample pedestrian areas, jogging tracks, and a profusion of indoor-outdoor restaurants, the area also holds its own when it comes to culture and the arts—the Nobel Peace Center (1 Brynjulf Bulls Plass; 47-48/301-000) is located here, just a few blocks from the National Museum (13 Universi-tetsgata) and the affiliated Museum of Contemporary Art (4 Bankplassen). Come mealtime, head to Aker Wharf for some of the city’s best seafood. Louise Restaurant & Bar (3 Stranden; 47-2/283-0060) inhabits a former engine workshop and serves Norwegian classics amid a collection of more than 1,000 maritime mementos, from paintings and models to barnacles and buoys. Onda Sea (Stranden 30; 47-45/502-000) is another top spot, with a menu laced with the freshest catch from Norway’s rugged west coast, as well as captivating views across the Oslo Fjord to the Akershus Fortress. 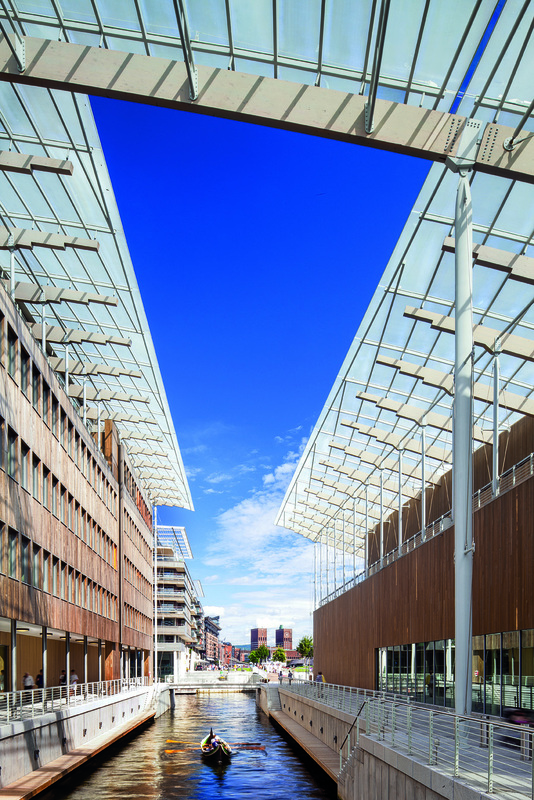 Just west of Aker Brygge, the former prison islet of Tjuvholmen (“Thief Island”) has emerged as a gallery hub, especially with the opening of the Renzo Piano–designed Astrup Fearnley Museum of Modern Art (Strandpromenaden 2; 47-22/936-060). An elegant complex of three glass-roofed buildings, the museum is the architectural anchor to Tjuvholmen just as the Opera House is to Bjøvika. 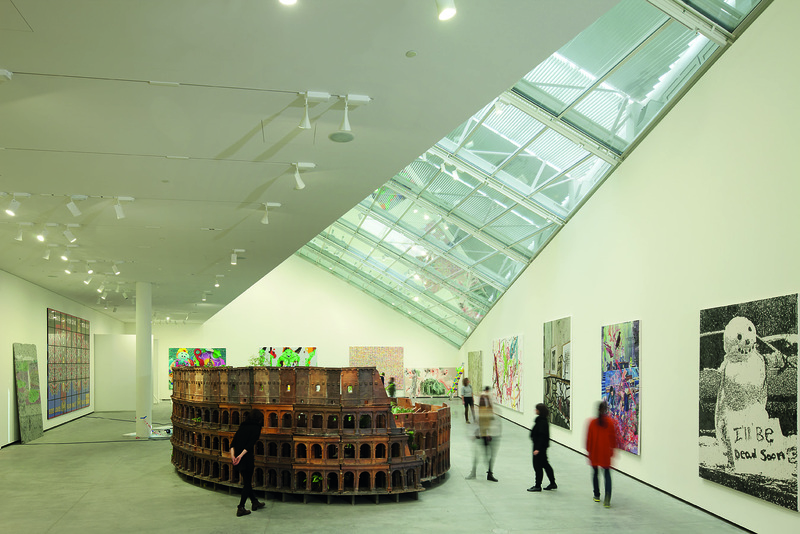 Its collection, established in 1993 and spread across 10 galleries, features works by Tom Sachs, Cai Guo-Qiang, Cindy Sherman, and Jeff Koons. Art buffs will also enjoy the nearby Gallery Haaken (23 Tjuvholmen Allé; 47-22/559-197), which was one of the first galleries to set down stakes in Tjuvholmen. Other noteworthy stops include Galleri Brandstrup (5 Tjuvholmen Allé; 47-22/545-454) for its impressive range of international contemporary art, and Pushwagner (10 Tjuvholmen Allé; 47-22/831-618), a good bet for viewing works by the biggest names in modern Norwegian art, as it holds regular events that draw the city’s cultural cognoscenti. 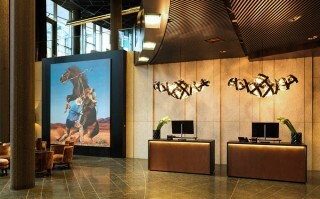 Once-seedy Tjuvholmen also has a hotel to match its new mood: The Thief (1 Landgangen; 47-24/004-000; doubles from US$375), located next to the Astrup Fearnley Museum. With 119 designer-furnished guest rooms and public spaces hung with commissioned art by the likes of Richard Prince and Peter Blake, it’s a waterside gem that puts you right in the thick of the action. This article originally appeared in the August/September 2013 issue of DestinAsian (“City Scene: Oslo”). 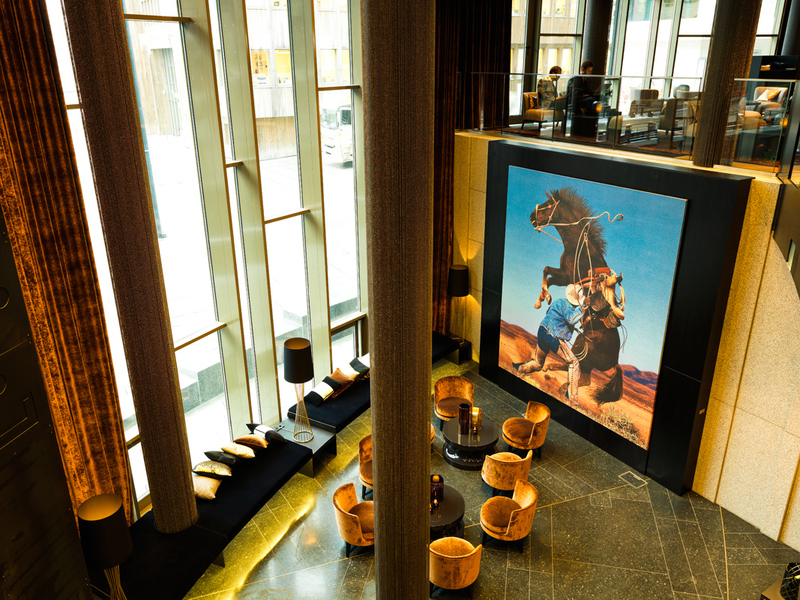 The Thief hotel opens in the wake of an urban renewal project in Oslo's waterfront district.